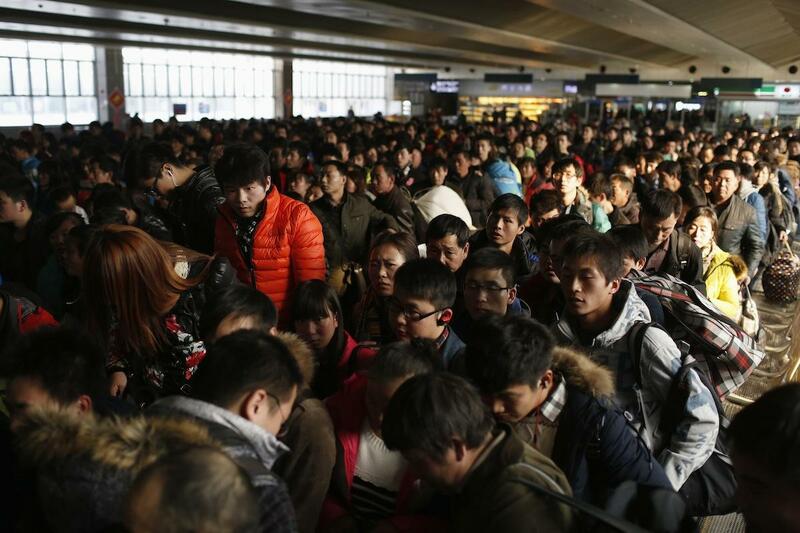 China’s Lunar New Year travel rush is often dubbed the world’s largest human mass migration. While that’s no doubt a nebulous superlative for those of us on the outside, a heat map launched Sunday by China’s largest search engine, Baidu, helps to paint a picture of just what exactly this travel bonanza looks like. The gargantuan surge in “Spring Festival Transport” began, in earnest, on Jan. 16 and kicked into high gear this week as hundreds of millions of Chinese citizens crisscrossed the nation to gather with friends and family, light firecrackers and celebrate the Chinese New Year. 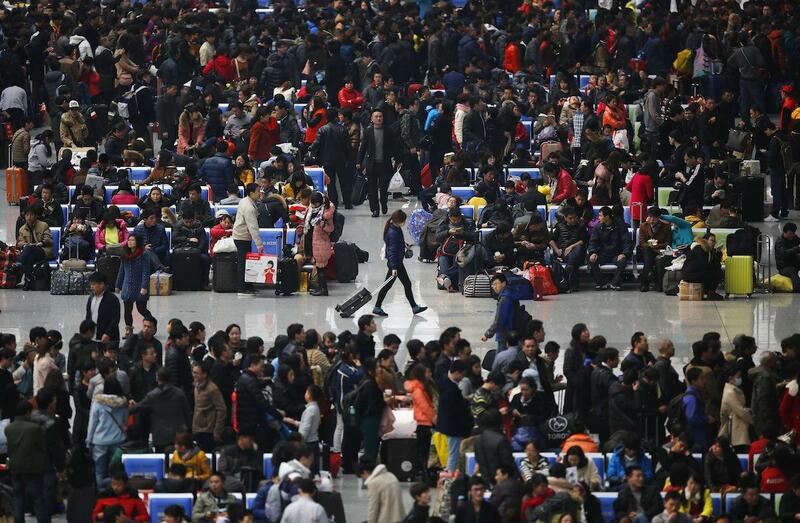 The 40-day New Year period is the Peoples Republic’s largest national holiday, and officials anticipate a grand total of 3.6 billion passenger trips this year, an increase of 200 million over 2013. Road transport (including buses) will make up 3.2 billion of all voyages, while experts predict 258 million trips by train and another 42 million by air. Many of these journeys appear in bright blue on “Baidu Migrate,” which gathers data from smartphones equipped with Baidu Maps or other applications using its location-based platform. Baidu Maps had in excess of 200 million registered users and received more than 3.5 billion “position requests” every day as of August 2013, making it the largest source of location-based data in China. 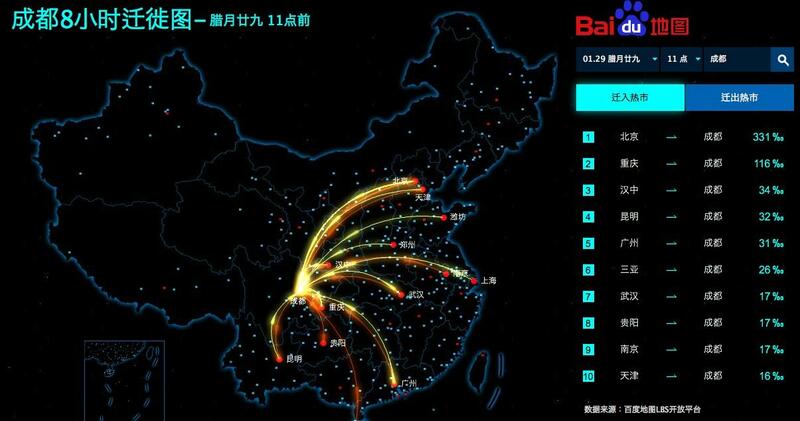 The Baidu Migrate heat map depicts the most popular destinations, points of origin and travel routes throughout China in a mesmerizing web of blue lines. It updates hourly to reflect new journeys, and includes a search function (in Chinese characters) that allows users to track trends and see statistics for a particular city at any given time. Several of the popular routes shown Tuesday night, for example, line up with recent migration patterns from rural to urban areas as migrant workers depart from large coastal cities for the inland provinces from which they were raised. Click here to find out what routes are trending at this very moment.